Dr. P. B.Rokade is currently working as Associate Professor in R. B. Attal Arts, Science and Commerce College, Georai, Dist. Beed since 2003. He completed his Graduation, Post Graduation and Ph.D with Fishery Science as specialization in Zoology in Dr. Baba sahib Ambedkar Marathwada University, Aurangabad. He has over fifty publications at National and International level. He has visited Nepal, Sri Lanka, Thailand, Malaysia, The Netherlands, Dubai, US and many more for Paper Presentation. He is a reviewer of five International Journals. He is also actively engaged in Personality Development training classes in various colleges. 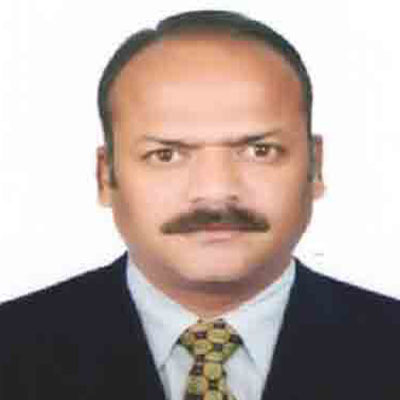 He is the Editor of six journals from United States, Pakistan, Singapore and Dubai including India. He is a Research Guide in Zoology with students working under his able guidance from India and abroad.